Gareth has over 20 years’ experience in the retail and distribution industry, working for a number of UK, blue-chip companies. From humble beginnings collecting trollies for a large supermarket chain while still at school, his career progressed through a number of operational roles before transferring his skills into the field of supply chain. Gareth is also a qualified Internal Auditor which allows him to bring a structured, independent and objective approach to business - identifying inefficiencies and developing strategies to address them. 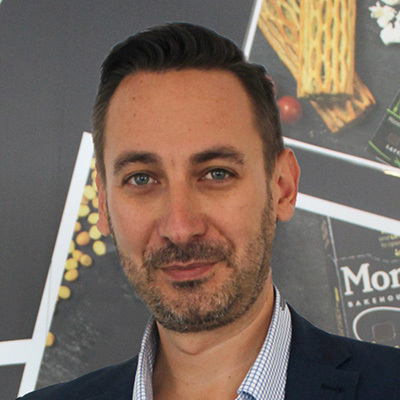 At Monty’s Bakehouse, Gareth is a member of the Executive Leadership Team, whose remit is to ensure that the business remains focused on its strategic aims, he also heads up the Supply Chain Department. His supply chain responsibilities include the design and development of our manufacturing and delivery networks, through to overseeing the efficient running of the supply chain operation. Originally a northerner (we don’t hold it against him) born and bred in Oldham near Manchester, Gareth relocated to the south coast in 2013, where he now lives with his wife and three children.